Explanation: After just passing Mercury, the robot spacecraft Mariner 10 looked back. The above picture is what it saw. Mercury, the closest planet to the Sun, is heavily cratered much like Earth's Moon. As Mercury slowly rotates, its surface temperature varies from an unbearably cold -180 degrees Celsius in the half facing away from the Sun, to an unbearably hot 400 degrees Celsius in the half facing toward the Sun. 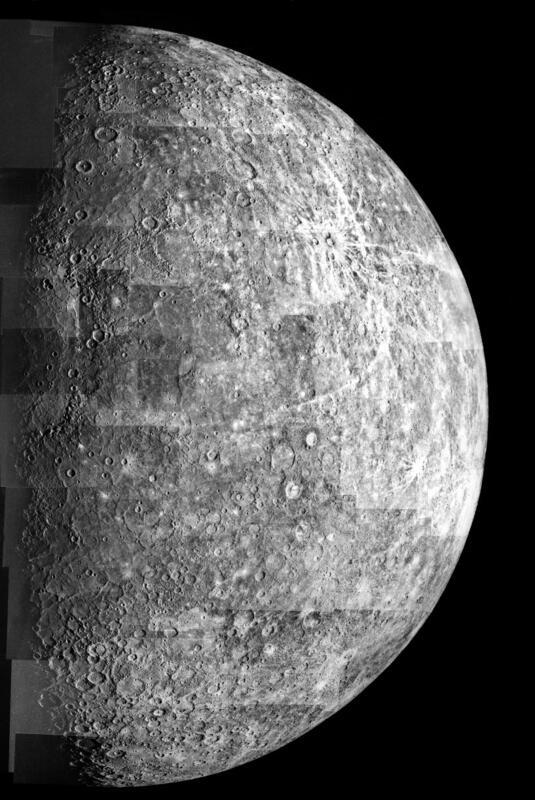 Mercury is slightly larger than Earth's Moon and much denser. The Mariner 10 spacecraft swooped by Mercury three times in its journey around the inner Solar System in the mid-1970s. This outbound view has similarities to the inbound view. 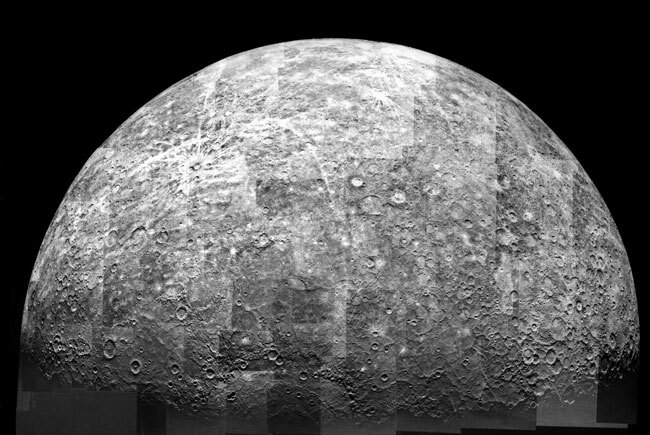 Nearly half of Mercury's surface has yet to be photographed in detail.